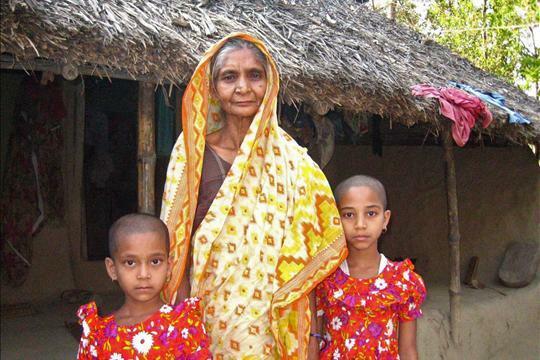 Bangladesh is one of the poorest and most densely populated countries in the world. The country is also affected by repeated natural disasters such as hurricanes and floods. Due to political unrest, the people of Bangladesh suffer further. Over 30 per cent of the population lives in poverty and the number of vulnerable children is high. The People's Republic of Bangladesh is in Southern Asia. It is one of the ten most heavily populated countries in the world with 158 million people (July 2017 est.). The capital city of Dhaka is home to around 14 million, thus making it one of the ten largest cities in the world. Although democracy was restored in 1990 after 15 years of military rule, Bangladesh continues to have a volatile political climate. And it is not only the political climate which is unstable: the country is frequently affected by natural disasters such as heavy rainfall or cyclones that cause damage to infrastructure, crops and livestock. About a third of the country floods annually during the monsoon season. Despite the economic progress of the past years, Bangladesh remains one of the world's poorest countries. It is estimated that about 75 per cent of the population lives on less than two dollars a day. Most people work in agriculture, producing mainly jute and rice. Although the official unemployment rate of four per cent (2016 est.) is not alarmingly high, about 40 per cent of the population is underemployed. The quality of, and access to, health care and education varies. Infant, maternal and under-five mortality rates have improved but only for some sectors of the population in limited geographical areas. Only 85 per cent of the population has access to improved drinking water and 60 per cent to improved sanitation facilities. 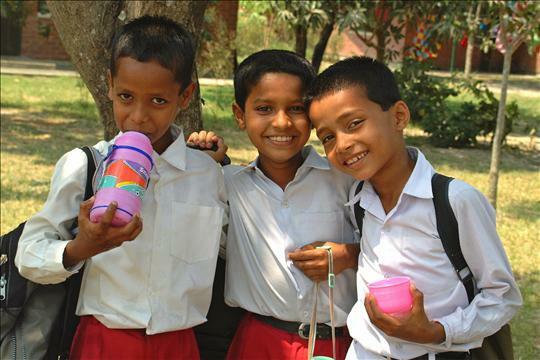 Although basic free education is provided for children between the ages of six and ten years, Bangladesh continues to have one of the lowest levels of literacy in the world - around 30 per cent of the population are unable to read. The low standard of living and the precarious environmental and economic situation leave people particularly susceptible to the false promises of human traffickers. Bangladesh is a source and transit country for men, women and children who end up in conditions of forced labour or being sexually exploited. 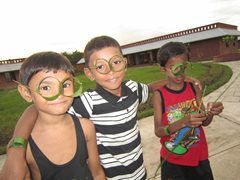 Over 56 million children and young people live in Bangladesh. Children are particularly affected by the general poverty levels and it is calculated that one in ten suffer from malnutrition. Although no reliable figures exist, local experts estimate that about a third of all children do not have parental care or are at risk of losing it. Although the law bans children under the age of 14 from working, an estimated five million children between the ages of 5 and 14 are involved in child labour. Many of these work in exploitative conditions or in high risk jobs. In rural areas, children mostly labour in agriculture. If families migrate to cities in search of work, children end up living either in overcrowded squatter settlements or on the streets. They are forced to work as domestic workers, touting goods or in shops. In many cases they do not attend school regularly. 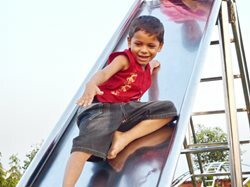 SOS Children's Villages has been working in the country since 1973. Strengthen families: We work with local partners and the community to help families stay together. We make sure that vulnerable families have access to basic goods and services such as health care and education. In addition to providing child care, we also give training and advice so that parents can generate an income to look after their children. Care in SOS families: If, in spite of all support, children are unable to stay with their parents, they find a new home in SOS families. Children grow up with their brothers and sisters in a safe environment. Wherever possible, we work closely with the children’s family of origin, so that the children can return to live with them. Whenever this happens we work towards supporting them during the period of adjustment. Education: More than 2600 children attend the SOS Children’s Villages primary and secondary schools throughout the country. Emergency programme: In October 2017, SOS Children’s Villages prepared to help Rohingya children at the Kutupalong and Balukhali refugee centres. We aimed to keep families together and ensured that they had access to shelter, food, medical care and education.